Some ideas for films are so simple and wonderful one wonders why they haven’t been done before. 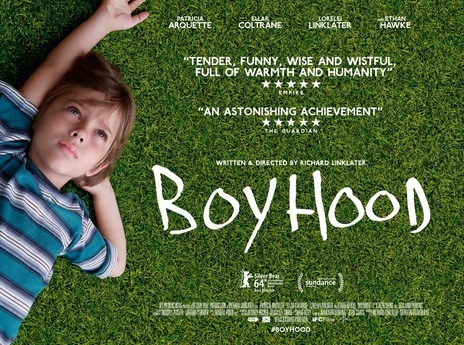 Boyhood is the fictional account of a boy, Mason (Ellar Coltrane), as he grows from boy of six to a man of eighteen. Filmed over a twelve-year period we see how him and his sister, Samantha (Lorelei Linklater, the director’s real-life daughter) change both in the sense of their personalities and physical forms. We also see how their concerns change from moving home and haircuts to romance and recreational drugs. The story’s scope is not limited to Mason and his sister, however, we also see how his mother (Patricia Arquette) and father (Ethan Hawke) change and do their best to support their children in spite of the difficult circumstances that often arise.